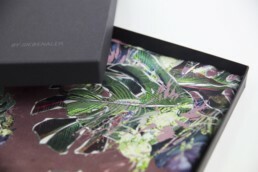 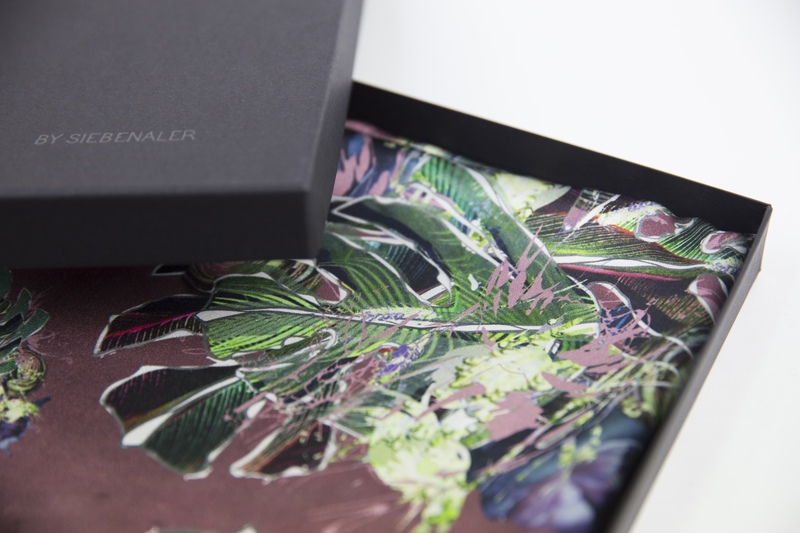 Budded Palmleaves is designed by painted palmleaves. Hidden lavender turned into a light green and a purple coloured buttercup are mixed into a pattern and spreading on aubergine foamed waves. 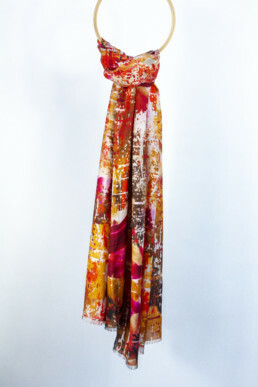 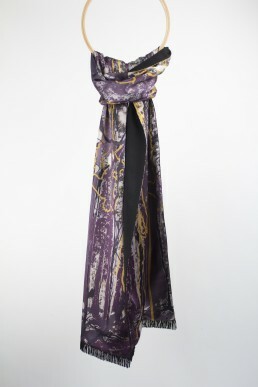 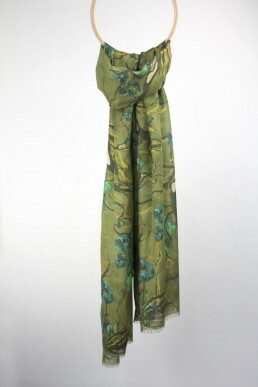 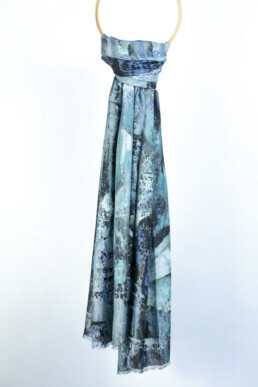 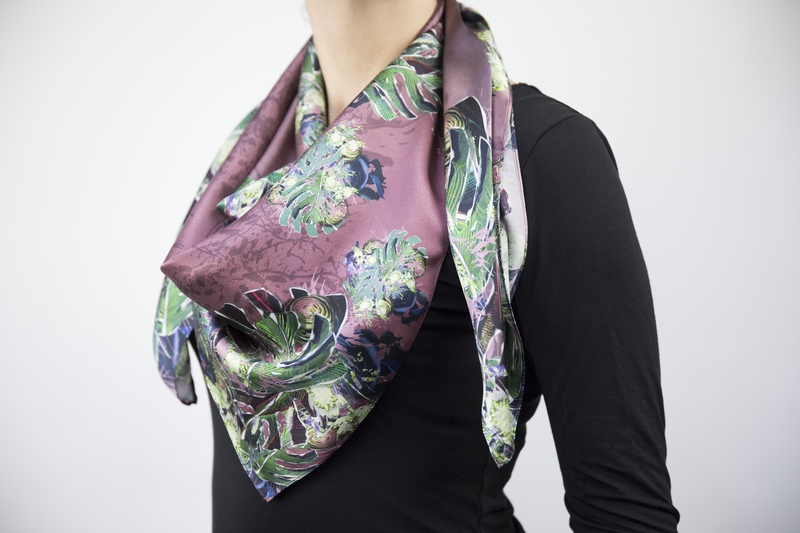 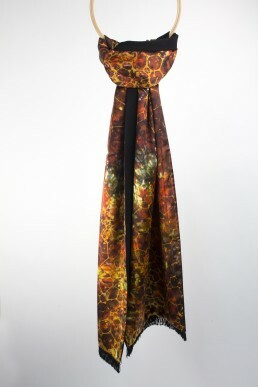 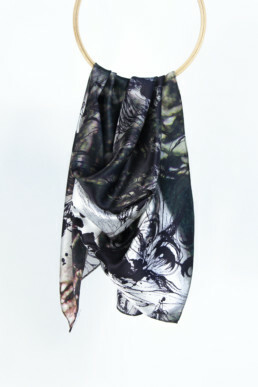 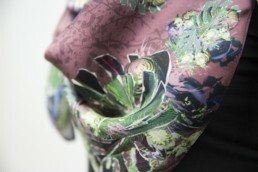 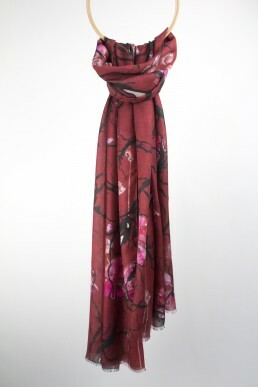 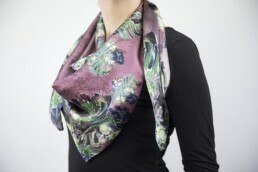 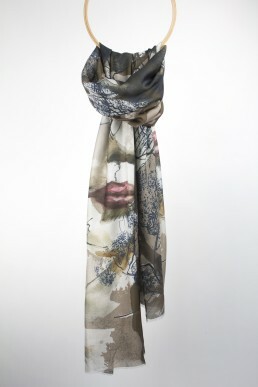 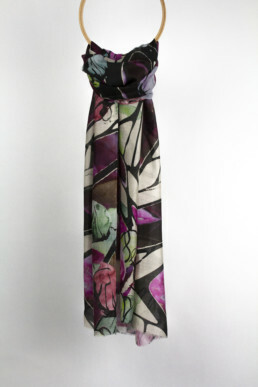 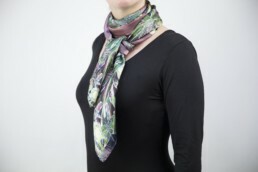 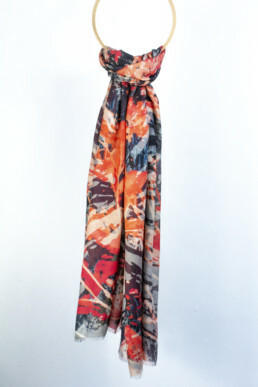 Elegant and vibrant, classic silk scarves compliments any outfit for any occasion. 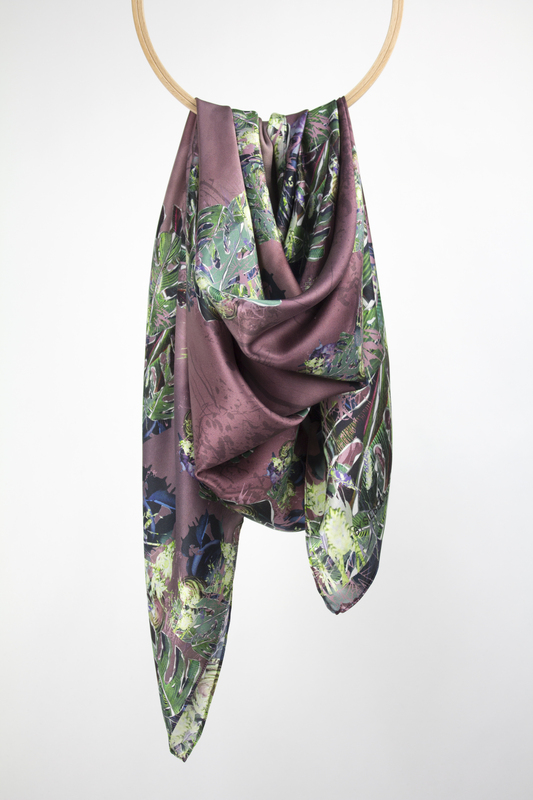 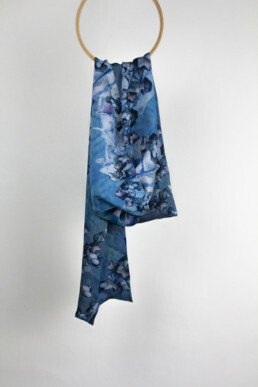 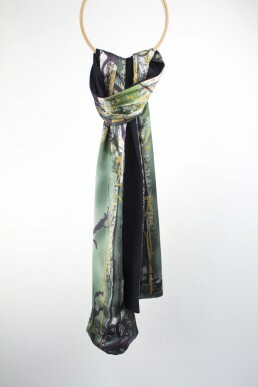 Inspired by nature, these scarves incorporate some beautiful ideas, which you can find everywhere around you to create a unique and timeless piece.